Cool and Comfortable: air ventilated material keeps user comfortable in all seasons. 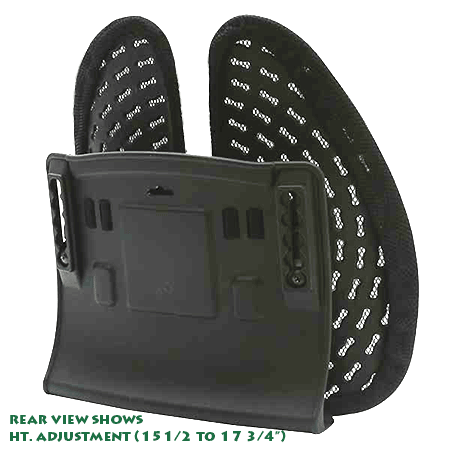 Adjustable Retaining Strap: a strong strap to fixate the support to the back of your seat. Easy To Clean: removable - 100% polyester, machine-washable cover: Machine wash as needed. Air dry only. Active Motion Support: meaning this support is on movable mounts allowing the support cradle to move with the user; during both side to side and back to back movements. To our knowledge; no other support does this. 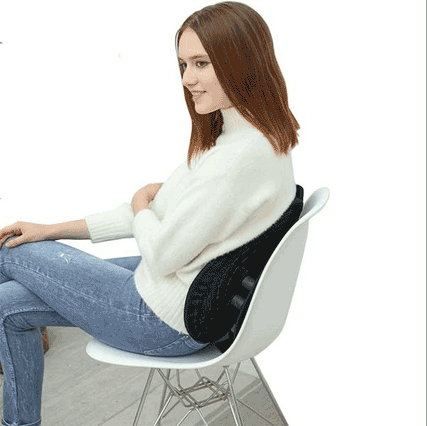 HOW IT WORKS: Hug My Back provides multi-faceted support for the normal lumbar spinal curve, encouraging proper posture and exerting a dynamic hugging effect. Such 'hugging' cradles the lower back to protect and help heal the spinal discs. 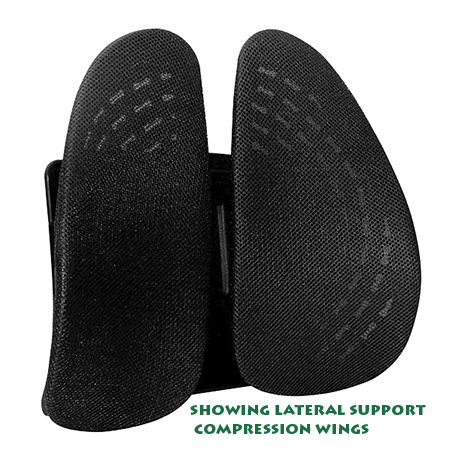 This dynamic mechanism, consisting of TWO flexible lateral compression pads; serves to apply a mild traction to the lower back, lifting pressure off sensitive nerves and discs. 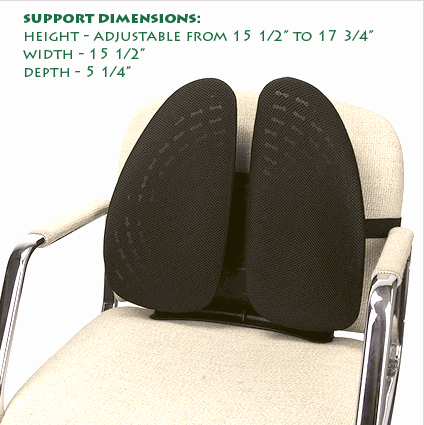 Superb Comfort: making it possible to endure long hours of sitting, even with fairly severe back problems. 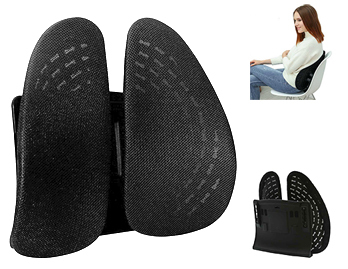 Use for Many Conditions: lumbago, lower back pain, disc herniations & bulges, spinal stenosis, scoliosis, Lumbar Facet Syndrome, post back surgery & recovery, auto/car seat support, sitting at computer and lumbar strain. ONE-YEAR WARRANTY: manufacturer offers a 1-year warranty. Product Dimensions & Weight: 15.5 W x 5 D x 15.5 - 17.75 H (inches) ; less than 2 lbs. RETURN POLICY: backed by our 30-day customer satisfaction policy.